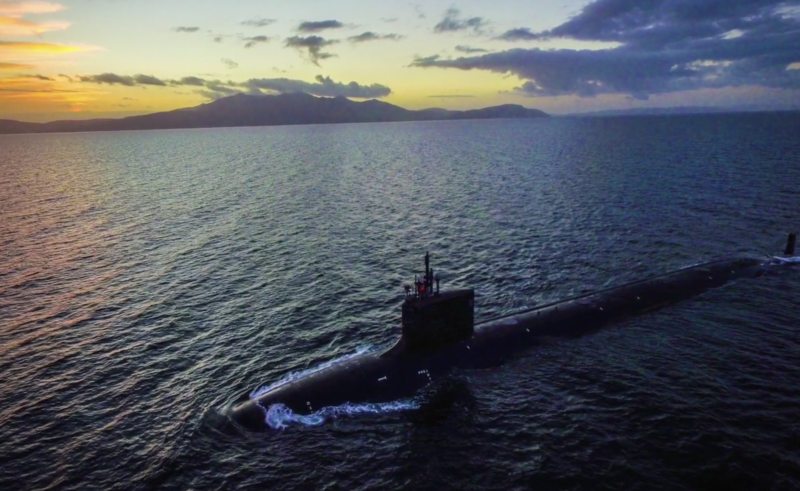 ARLINGTON, Va. – The undersea warfare community wants to boost attack sub lethality by providing new payloads for the Virginia-class SSNs, especially ones that can be leveraged through the Virginia Payload Module missile tubes that will be added to new-construction boats beginning this year. “We’re in a great power competition now, and so we need to be focusing on other potential capabilities,” he said, citing Russia and China as adversaries that needed to be kept in mind while developing these new payloads. 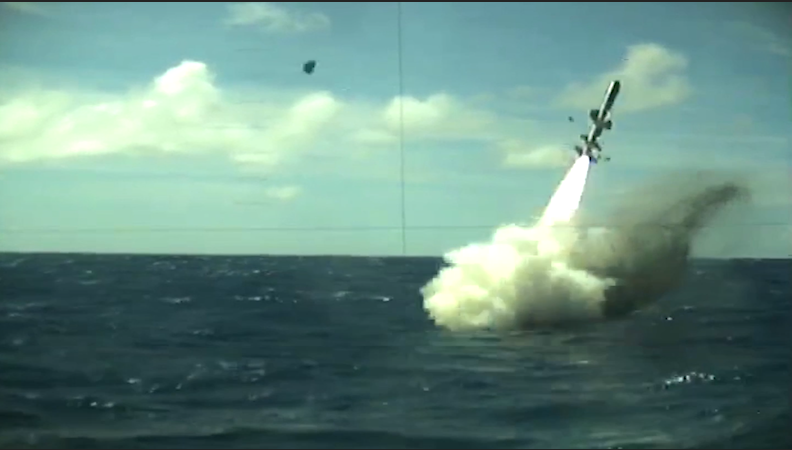 The Navy is looking at both new missiles as well as unmanned undersea vehicles being potential payloads that could be deployed from the VPM tubes. On the weapons side, Tammen told USNI News after his presentation that the surface warfare community is developing a next-generation land-attack weapon (NGLAW) that is currently going through an analysis of alternatives. 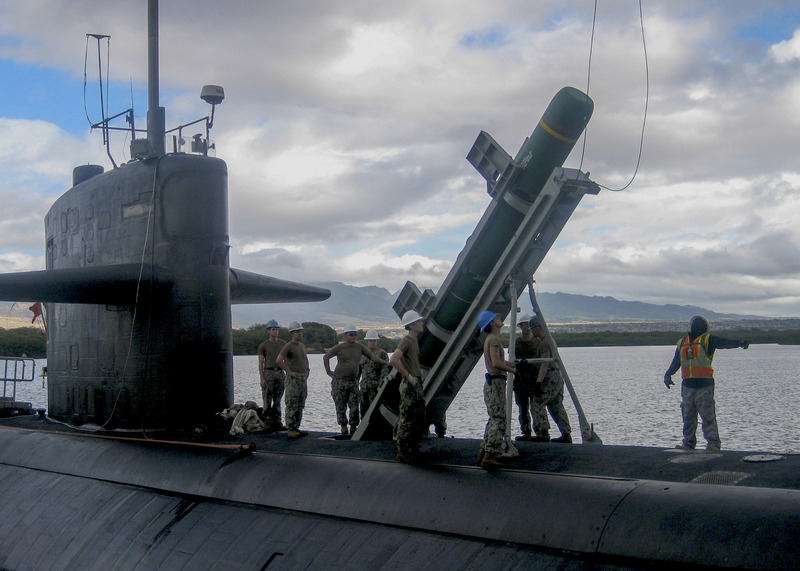 Though the surface warfare directorate (OPNAV N96) is overseeing the program, the undersea warfare directorate would look at adapting the weapon to be used from the VPM, providing another land-attack option beyond TLAM. UUVs are another attractive option to deploy from the VPM, but Tammen told USNI News the Payload Handling System that would move the UUVs from inside the submarine into the VPM tubes is still a challenge and funding has not yet been secured. The admiral said the UUV-VPM pairing relies on “a payload handling system, which will allow you to take a UUV vertical and then into the tube. Now the challenge right now is with chemical batteries you can’t take some of our vehicles vertical, so we have to get lithium ion or some other technology to allow us to go vertical, and then that should coincide with when we have the payload handling system.” He said funding for the handling system is pre-decisional and in the works now. Drakeley noted during his speech that, in addition to talk about using VPMs for innovative purposes, PEO Subs is also continuing to work on new torpedoes to add new capability to attack subs. The PEO is “doing a whole lot of work on lethality. We’ve had the same torpedoes, both heavyweight and lightweight, in the inventory it seems like forever. We haven’t really had any new torpedoes since before I came into the submarine community, so we’re working on that,” he said. In the longer term, Block VI and VII Virginia-class SSNs will have a chance to bring in more capability, as well as the eventual “New SSN” program, which the submarine community had previously called SSN(X). “One of the items that’s being looked at on Block VI is SOF (Special Operations Forces) optimization,” Virginia-class program manager Capt. Chris Hanson said during a panel discussion. “We look for capabilities to help the synergy with unmanned undersea vehicles, and it will also give us the ability to move forward in the realm of seabed and subsea warfare,” Tammen said of Block VI and VII boats. After Block VII, Tammen said, there will be no margin left for added speed or acoustic management, and “we’ll have to transition to the next block, which is New SSN. New SSN is going to be where we put the fast back in fast attack.” The Navy is currently thinking about how much capacity the sub will need to carry various payloads, how big to make the hull, what kind of propulsion system to use, and more. “We’ve started the intellectual pushups to make sure that we’re ready to go define the tradespace for the next SSN – hull size, ship length, diameter, what goes in that. Let’s define an envelop, we’re working on it,” Naval Reactors director Adm. Frank Caldwell said at the symposium.